Beijing Qiaoshi Mingchuan Musical Instruments Co., Ltd.
BeiJing SanYue Musical Instruments Ltd. 11F., Silvercord Tower 1, 30 Canton Rd. Sae Eum Musical Instrument Co.
Calzada Aviacion #1101, Local 7. Plaza Centenario, Col Santa Maria. Avda. Pontevedra , 4-Bajo Izqda. 17, Lane 2140 South Kuang Hsing Rd. Yong Seng Watana Trading Co., Ltd. 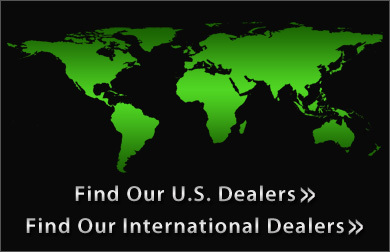 While we prefer that you buy from one of our selected dealers, we do understand that it is sometimes difficult to find Beechler, ARB, and Elan Products. You can buy directly from us should you not have a dealer near you or experience difficulties finding Beechler and ARB Products. Tip openings, tone chambers, types of materials, length of lay etc., are very important in the playability of any mouthpiece. However, the most important consideration is how it plays for you! The complete line of BEECHLER and ARB mouthpieces offers an almost unlimited selection and variation to provide any player, from the beginning student to the discriminating professional, a comprehensive range of playability and response to suit any embouchure or musical style. Beechler saxophone mouthpieces and ARB Saxophone mouthpieces are the finest, handmade metal, hard rubber and plastic mouthpieces in the world. Whether your are looking for a large or small tip opening, large, medium or small chamber or bore, mouthpieces for soprano sax, alto sax, tenor sax or Baritone sax, Beechler and ARB saxophone mouthpieces are designed to meet your individual needs. We make Beechler Custom mouthpieces, Diamonds, hard rubber, Tonalex, Bellite metal, ARB metal and great neck mouthpieces.